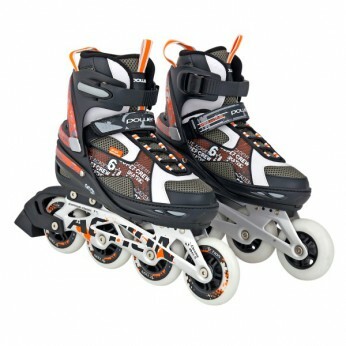 These inline skates feature an aluminium frame with ABEC 5 chrome steel bearings and 84mm PU wheels. Also available in size 35-38…. This toy costs approximately £39.99 (for the latest and best prices make sure you check our retailer list for the Pro Inline Skate 39-42cm above). In our review of Pro Inline Skate 39-42cm we classed it as being suitable for ages 6 years, 7 years, 8 years but recommend you check the manufacturer specific advice before purchasing.